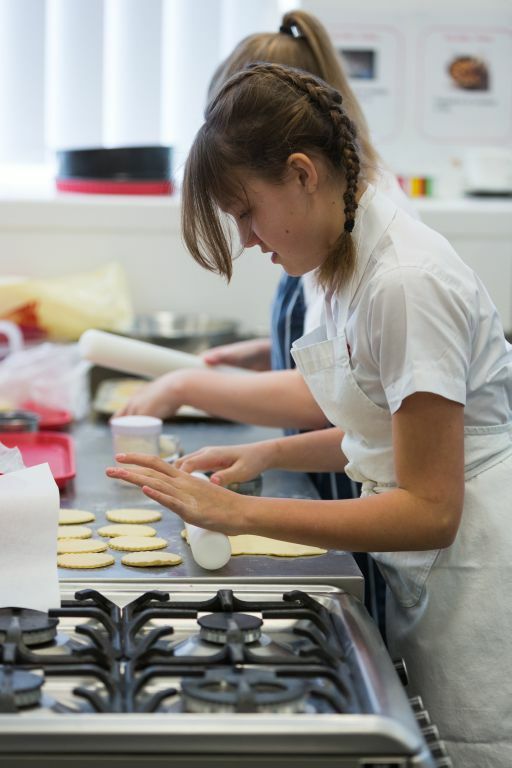 The Food Technology department teaches students in Key Stages 3 and 4. 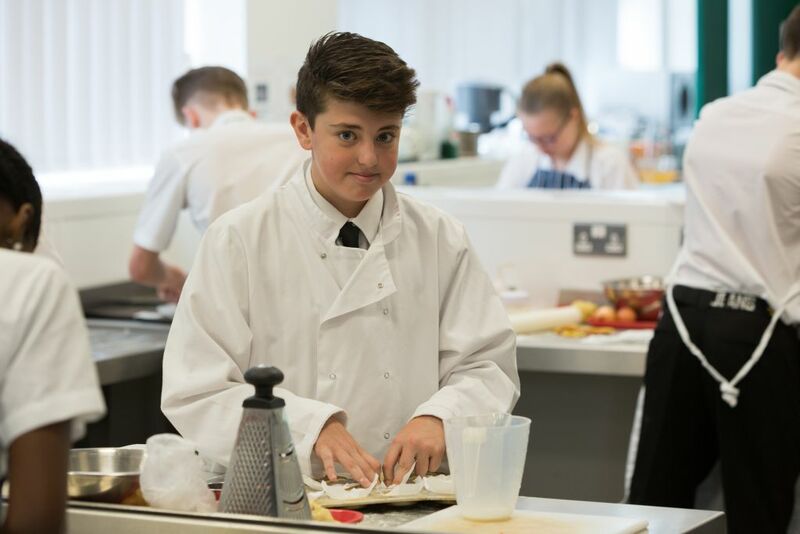 In years 7 and 8 students study Cooking and Nutrition, during which they develop their knowledge of how to make a wide variety of food products that contribute to a balanced diet. 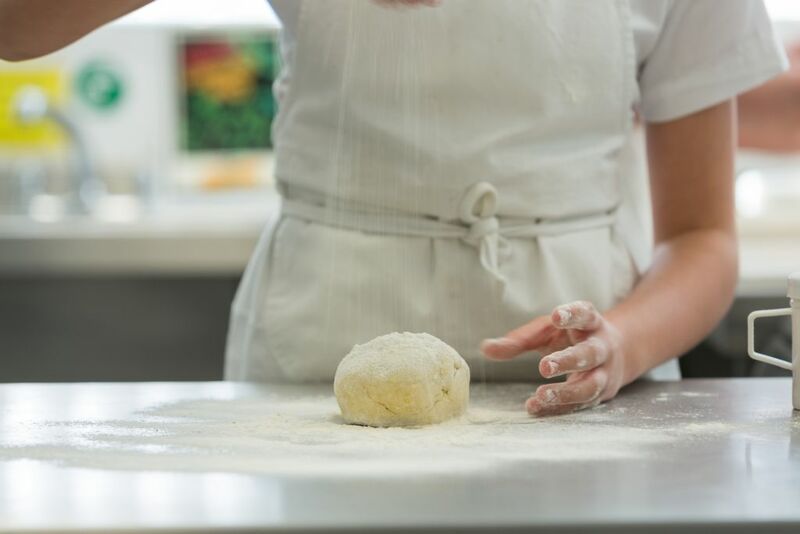 Students also consider safe working practices with food, how ingredients are produced and processed, the importance of informed food choices and the nutritional impact of food. Students will also learn about the functional properties of ingredients. 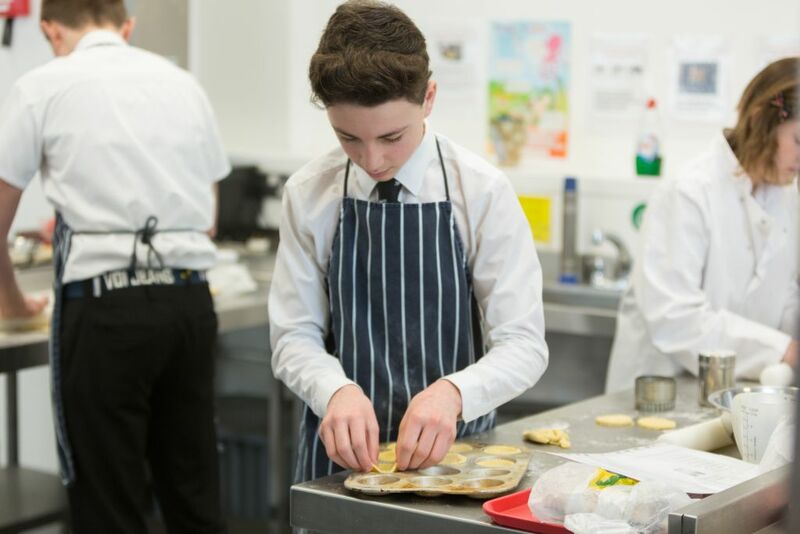 Students can study GCSE Catering or GCSE Food Technology in Key Stage 4; King John students regularly achieve exam success in these subjects, in the summer of 2017 79% of students achieved A*-C and 15% a –A*in these subjects. The main focus of year 9 is to carry out foundation work for this GCSE, covering the main theory topics and practical skills to a level that will allow students to successfully complete the two none exam assessments in early parts of year 11. The theory for this subject is taught throughout the 3 years and becomes progressively more complex as the course progresses preparing students for the written and practical aspects of their none exam assessment tasks (NEA) and their final written exam in summer 2018. 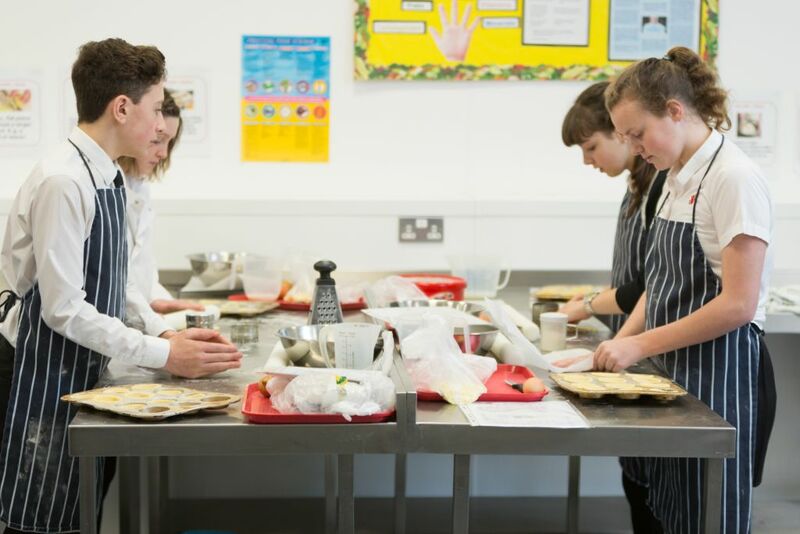 Students will usually cook once a week; all recipes can be downloaded from the school. You can download further information on the right hand side. 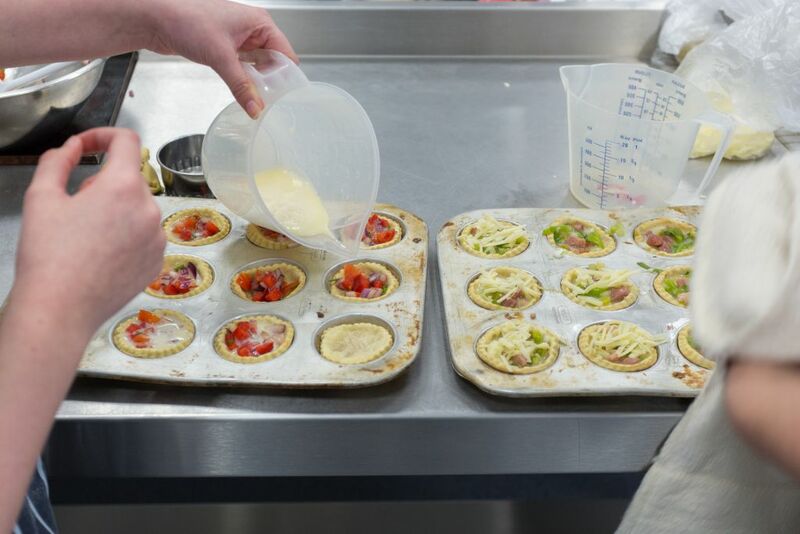 Students will usually cook once a week; all recipes can be downloaded from the school VLE. The practical lesson are planned to allow the students the opportunity to develop the skills and knowledge needed to complete the practical elements of the controlled tasks. Whenever a student has a practical lesson they will have a week’s notice of what they will need to bring in to school, the details of exactly what they need to bring to school will have been recorded in their planner- the teacher will also put the information onto SIMS. To the right hand side is a summary of the ingredients that the school can provide for each practical. Students do not have to buy any of the ingredients from school, however we do try to make practical lesson accessible for all and reduce any inconvenience for those who buy the ingredients for the students, therefore whenever possible we try to help, hence the list below. 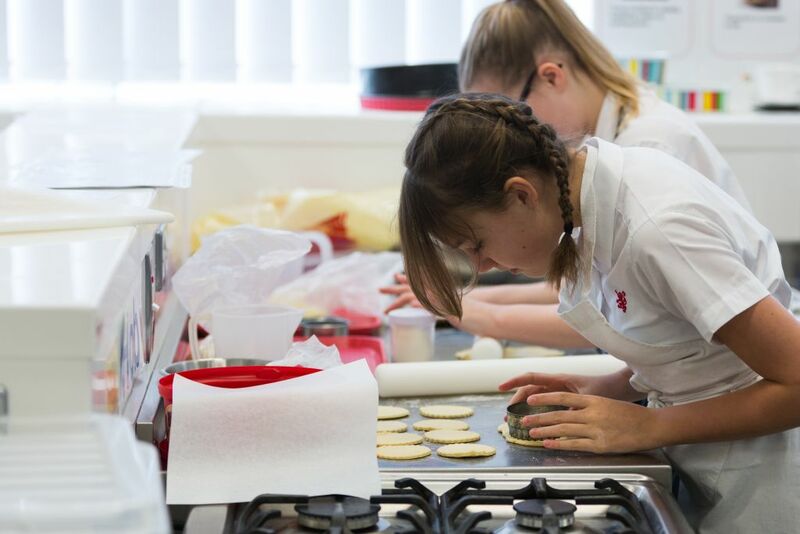 When students complete the practical lessons/exam for their controlled tasks they will all make different food therefore they need to bring in their own ingredients at this time- they will always have at least 1 week’s notice of when these ingredients will be needed.